On a recent trip to Australia, I had the good fortune to visit the Hunter Valley for a long weekend of wine tasting. And what a gorgeous wine region! 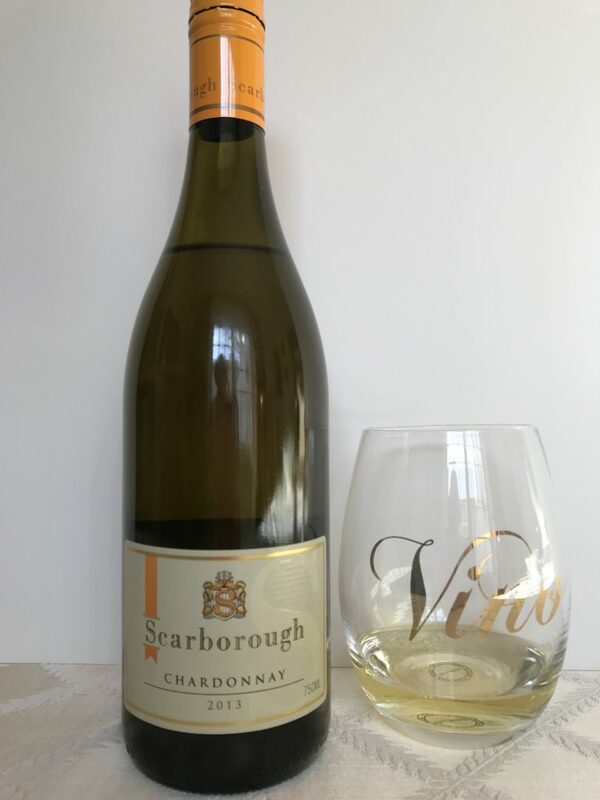 Our first stop was the delightful Scarborough Winery where we were treated to a first class, sit down wine tasting at a linen covered table cloth in their dining room. I fell in love with this winery at first glance. Quiet. Elegant. This was an exceptional wine tasting experience. Aromas of pear, pineapple, peach and biscuit can be found in the nose. It’s medium bodied with a soft, round finish. Its flavor evokes mild stone fruit, perhaps partly from the peachy aroma. It’s a complex wine that keeps delivering more flavors. The color is golden yellow and the alcohol content is 13.5%. At six years old, this wine doesn’t suffer from its age – it was made to last. Back in 2016, the wine critics were recommending laying it down for a couple of years. Perhaps it’s because it was fermented and aged on lees in French oak for 12 months. Hello and Happy New Year! 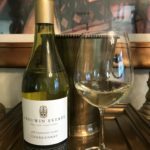 It’s been awhile since I posted a review, and for all my chardonnay loving friends, I apologize. Things have been crazy in our world. We took a much-anticipated trip to Hawaii. We met our daughter, who lives in Australia, and spent Christmas in Maui. What a heavenly place to spend the holiday! Plus, Gary, my favorite wine tasting partner, and I have been busy these past few months with more travel writing assignments. With several articles recently published and several more in the works, I’ve been distracted! But that’s no excuse for not doing my job, so today I am continuing with Australian chardonnays. I just love Australian wine. They are almost always bottled with screw caps which means you can get to the golden nectar that much faster! 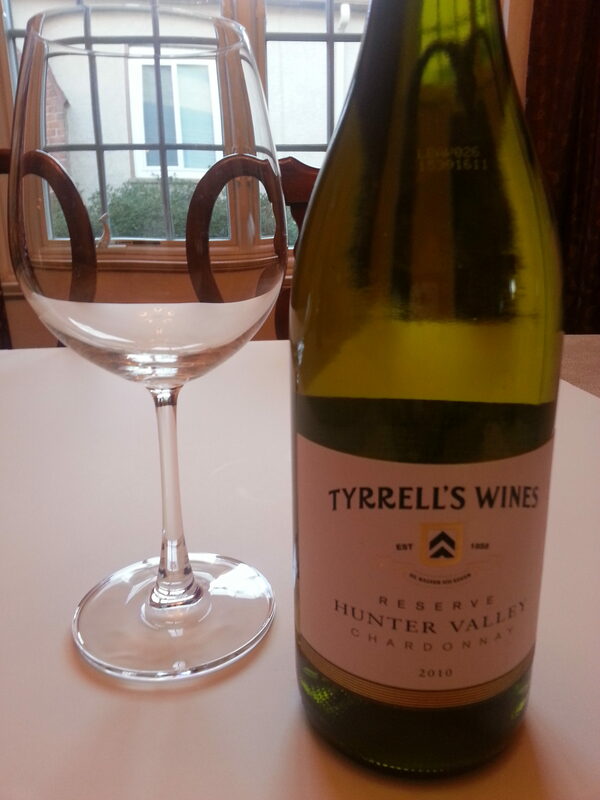 Today, I am trying a chardonnay from Australia’s famous Barossa wine region. I usually think of this wine region for shiraz, but this bottle from Langmeil, caught my eye at our local grocery store. The color is pale yellow, almost as light as champagne. When I first opened the bottle, the nose had a distinct aroma of oak, but that quickly dissipated, replaced by hints of honeysuckle and daphne. 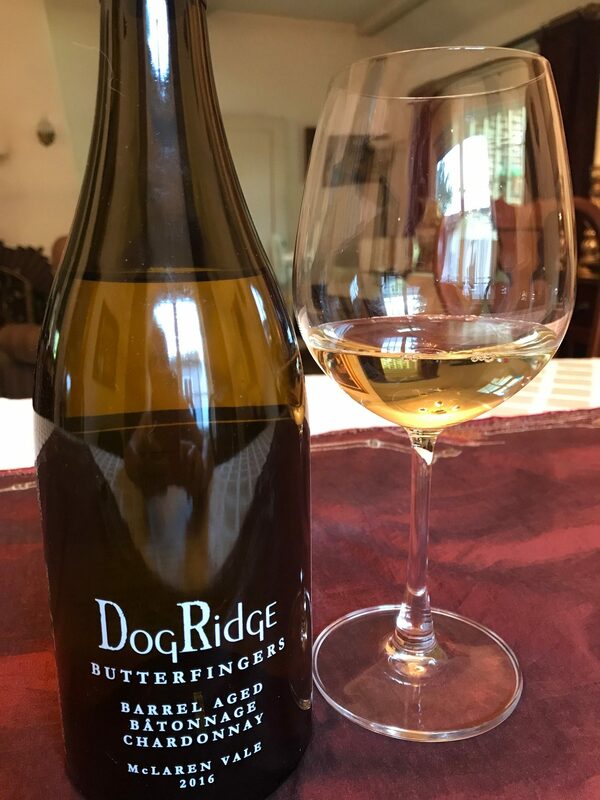 Subtle melon and nectarine flavors, in combination with the soft, sweet perfume in the nose, made for a unique, but attractive chardonnay. I can’t say I’ve tasted one quite like it before, but I will definitely pick up another bottle again. 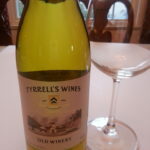 This is an easy drinking chardonnay on its own, but it paired very nicely, too, with petite breakfast brie and fig jam. 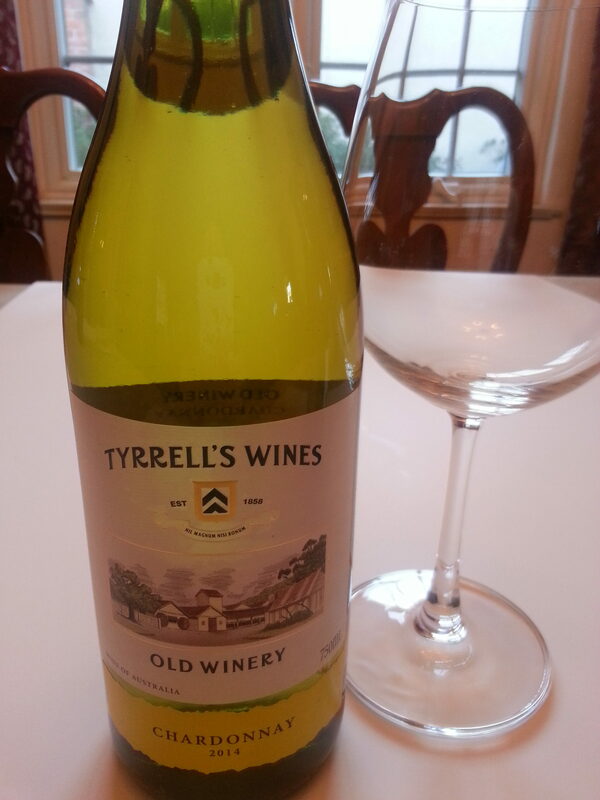 This is a clean, well made, polished chardonnay, yet the body is mellow with a creamy finish. At 2014, it aged well, and at under $15, is very attractive. 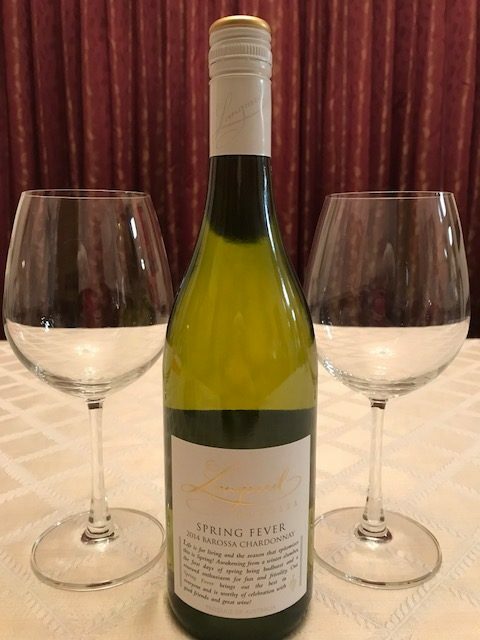 I found it at our local Nugget Market, which carries a wide variety of imported as well as local wines, but you can buy it online at Marquis Wines or check Wine Searcher. Cheers and here’s to many more months of happy wine tasting in 2018! 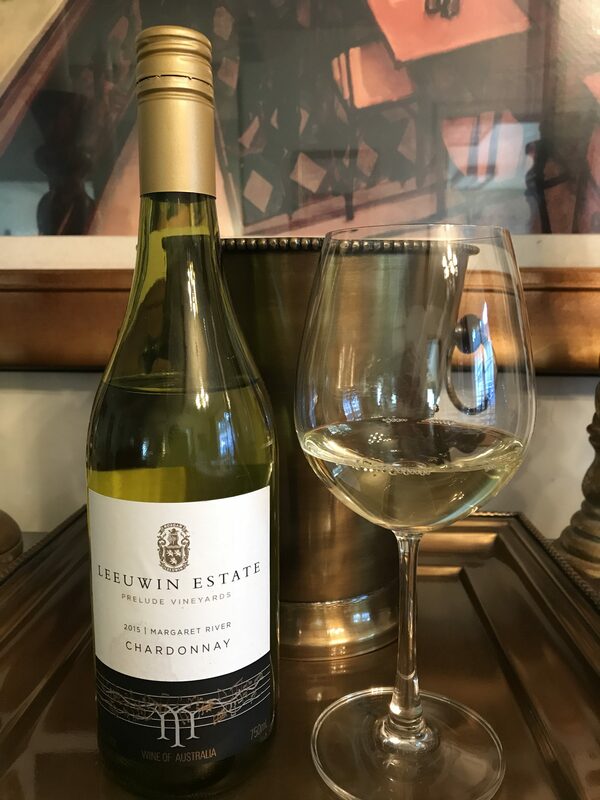 From the Margaret River, Western Australia, the Leeuwin Estate Prelude Vineyards, delivers another delicious chardonnay. With its cool climate, this is a region that produces the style of chardonnay I prefer. The color of the wine, Leeuwin Estate Prelude Vineyards 2015, is bright, clear and light yellow in color. The nose displays aromas of ripe pears, fig, crème brulee, and slight oak. Subtle fruit flavors of peaches and apple, with a hint of biscuit, make this an easy drinking wine. The style is clean and light, almost refreshing in taste, with a medium body. It is 14.0% in alcohol. One of the many that we purchased on our trip to Australia, I bought this one at Dan Murphy’s in Melbourne. For our USA readers, it’s available at FineWineHouse.com for $35.98. 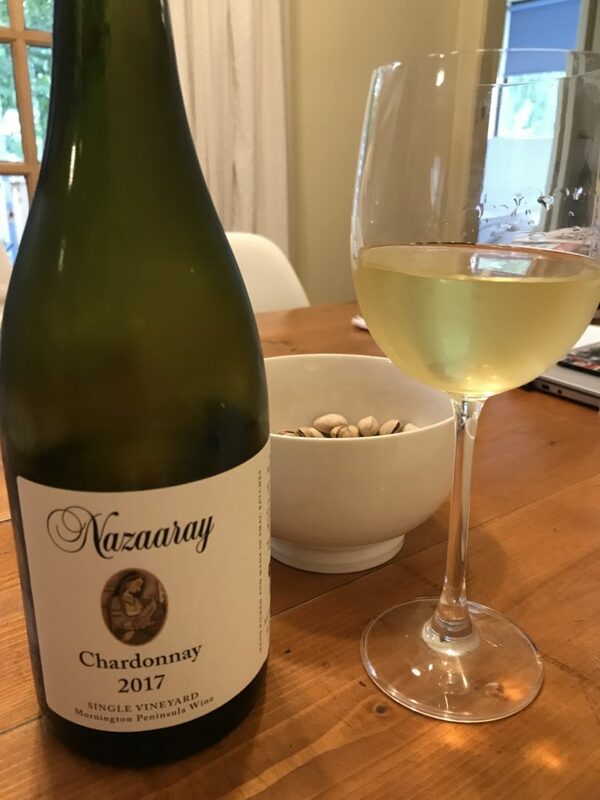 Or, you can just hop on a plane and head to Australia and taste all these yummy chardonnays I’ve been writing about these past few months, and see for yourself. It’s a long flight, so you’ll want to stay awhile. ? So, of course, I brought a bottle of this golden sunshine home with me from Australia. Aged in brand new French oak barrels, this chardonnay is lightly oaked. It’s golden in color, clean, clear and well, just plain pretty! Aromas of crème brulee and pear with a faint, sweet floral note fill the glass. It is a full structured, big, round, creamy and luscious wine, with flavors of stone fruit. The wine is 13.5% in alcohol. 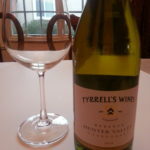 We paid $20.00 AUD ($15.79 USD) for this chardonnay at the food and wine show, most likely a promotional price. But, it can be purchased for $27.99 AUD at BlackSheepBottleShop.com.au or $25.00 AUD on the Dog Ridge website. McLaren Vale, south of Adelaide is one wine region we didn’t make it to when we visited Adelaide three years ago. With only time for one wine tour, we chose the famous Barossa Valley. But now that I’ve tasted several wines from the McLaren Vale, I’m definitely anxious to visit when we return to Australia. The list is growing longer with the Margaret River wine region calling my name and the Hunter Valley still on my bucket list. Mornington Peninsula, just outside of Melbourne and an easy side trip from Sydney, also came highly recommended. Until then, I’ll be saving my pennies for a return trip to this lovely wine producing country. Australia, keep making those lovely chardonnays. I’m coming back! 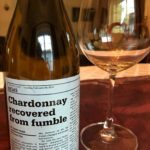 Through all of my “research” here in Australia, I’ve learned that winemakers in this country, like elsewhere, have shifted from making the “old” style of round, buttery, full-bodied chardonnay, opting for a leaner, unoaked style that tends to let the flavor of the chardonnay grape come through. In fact, I’ve tasted a few of those over the past several weeks and they aren’t too bad. Two rich and full bodied chardonnays from Australia. 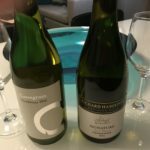 The two wines I’m reviewing were purchased from Wine Selectors, a company that represents boutique wineries from all over Australia. Without signing up for a wine club, or committing to any recurring orders, you can just become a member and order wines by the six pack or by the case, at a reasonable price. We ordered a six pack of chardonnays “for lovers of the rich style” to sample a few. 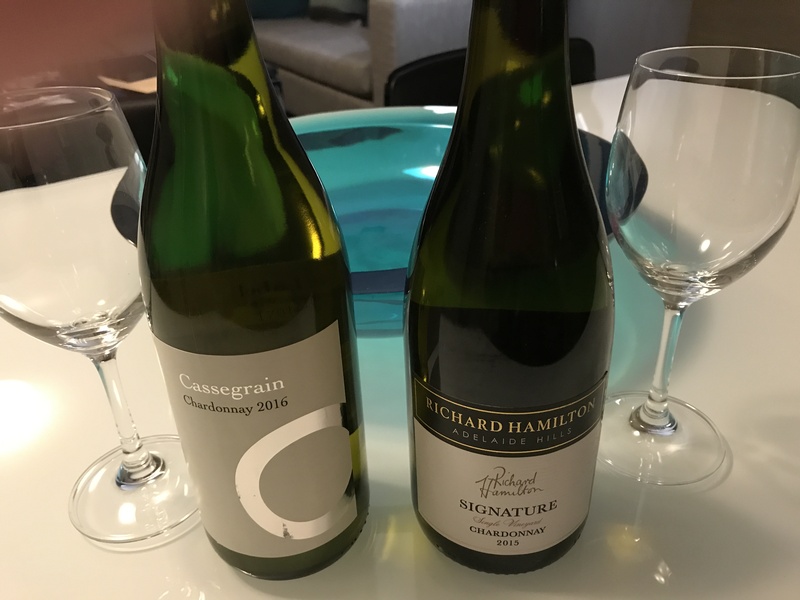 Today I’m reviewing the Cassegrain Chardonnay 2016 and the Richard Hamilton Adelaide Hills Signature Single Vineyard 2015. The Cassegrain Chardonnay comes from the cool climate of the Central Ranges of New South Wales. There are notes of tropical fruit with hints of hazelnut and creme Brule. 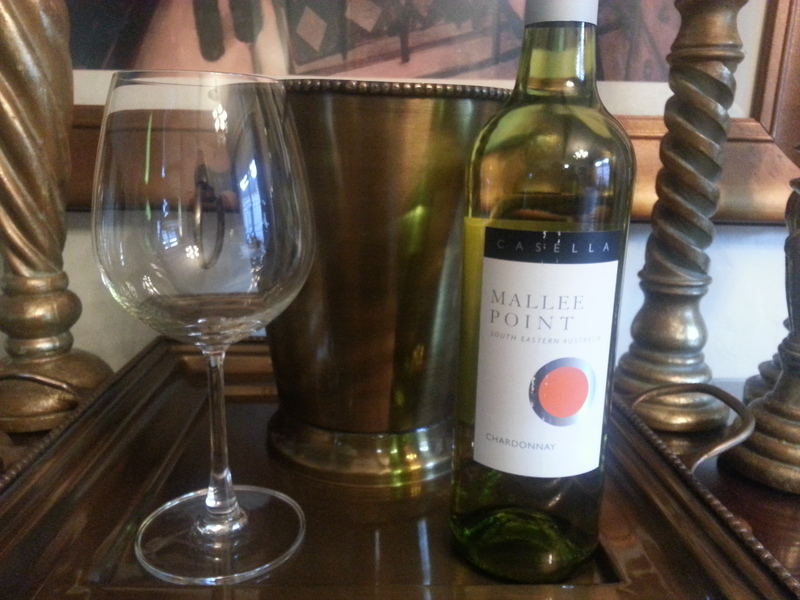 Pale yellow in color, clean and bright, this medium bodied wine ends with a soft, round finish. It has layers of stone fruit and hints of pineapple. I find the Cassegrain Chardonnay to be delicious and imminently drinkable. The winery sells this wine for $23.95 a bottle, but we paid closer to $15 through Wine Selectors. Enjoy with chicken, fish or seafood, or simply by itself. The Richard Hamilton Adelaide Hills Signature Single Vineyard Chardonnay 2015, of course, hails from the Adelaide Hills. The oak in the nose is a little too strong for my taste so let it breathe for a few minutes before sipping. Another light golden yellow, but clean and bright wine, it is elegant, stylish and full bodied. Fruit flavors come through in the taste. The winery sells this for $30.00 a bottle, but again, through Wine Selectors, the cost was approximately $15.00. Enjoy with poultry, seafood or pasta. 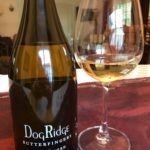 Dedicated to finding that perfect chardonnay, I’ve been tasting and blogging about my favorite varietal for almost two years. It’s hard to believe that much time has passed, so thanks for following my experiments and adventures. Matchbook Winery’s Arsonist Chardonnay – This is a beautiful winery, up the road on Interstate 5, past Woodland, near the town of Zamora, looking over the gorgeous Dunnigan Hills. At different times, they’ve made up to five different chardonnays, but the Arsonist is my favorite. 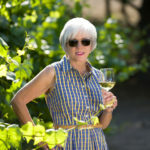 La Crema’s Nine Barrel and Russian River Valley Chardonnays – La Crema actually makes nine different chardonnays and this is the perfect winery (in Sonoma County) to try a side by side chardonnay tasting. Ask for Lisa and she’ll set you up. 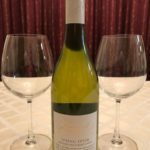 Alpha Omega Chardonnay– I just reviewed this one and it is almost perfect (except it’s a little pricey for my blood). But, I thank my dear friends and neighbors for introducing me to this Napa Valley wine. They are wine club members, thankfully, so they didn’t pay full price. It’s worth a splurge once in a while. 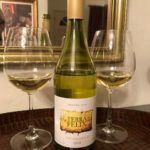 Bogle Reserve Chardonnay – I can’t believe I have never reviewed this wine. I checked all my blogs and there is not one review. 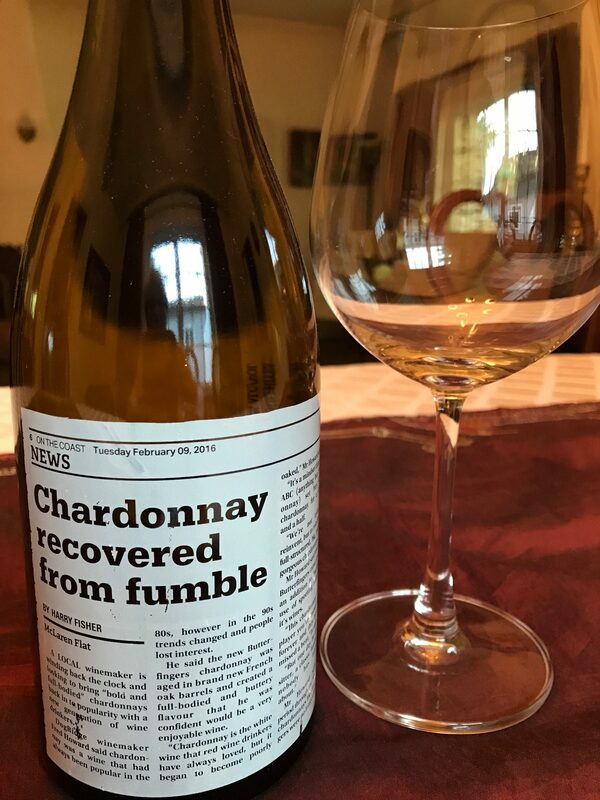 Sure, I’ve written about Bogle for Sacramento Lifestyle Magazine (twice) and written about the winery in my blog, but no chardonnay review. I’ll rectify that soon, but in the meantime, visit the winery and try this wine! 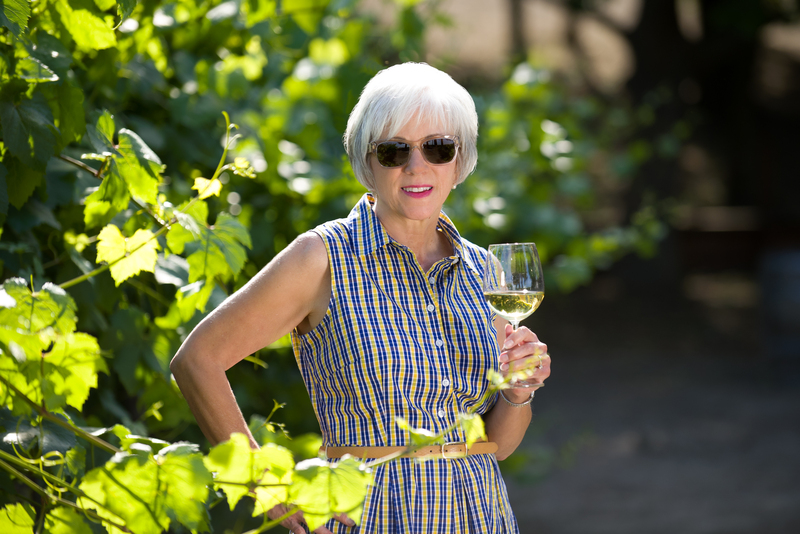 Together, we’ve covered chardonnays from other parts of the world as well as my own backyard. I’ve had the good fortune to visit wineries in Sonoma, Paso Robles, Mendocino, Amador, the Delta, South America, Italy, Australia, New Zealand, and most recently, France. Winetasting along the way is one of the most wonderful aspects of travel. It’s been a blast and everywhere I find wonderful, delicious chardonnay. In fact, chardonnay carries the distinction as the world’s most famous white wine and most widely planted grape. So, it’s fitting that there is an International Chardonnay Day, today, May 25, 2017. On this most special (to me) of days, we are headed to the land of Oz, where the nickname, “Chardy Girl” was penned and stuck. (You can read the original story here.) The lucky Aussies, they have a whole month to celebrate wine, from May 1 – 31. Our plane arrives just in time to help them celebrate by tasting some of those delicious Yarra Valley chardonnays. And you know what that means! The next few blogs will be featuring Australian chardonnays. So enjoy! Happy International Chardonnay Day! Cheers! This wine hails from South Eastern Australia, which we learned is a large wine growing area where wineries may grow or purchase grapes from several different vineyards to blend together and maintain consistency for their particular brand and varietal. The bouquet in this wine has hints of coconut and oak. 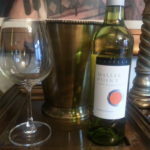 It’s a medium bodied wine, medium yellow in color, with some peach and some melon notes with nuances of green apple. The wine is not particularly complex or flavorful but chilled and served as a party wine, it would be okay. We’ll be making a trip back to Australia soon and plan to visit both the Yarra Valley (one of the most beautiful wine regions I have seen) and Hunter Valley, both well known for chardonnay. In fact, I think Yarra may be similar to Sonoma County. They both specialize in chardonnay and pinot noir and their cool climates. In celebration of our daughter, Ashley, who moved to Sydney recently, we are tasting two Australian chardonnays today, both from the Hunter Valley. Although we visited Australia a few years ago and had a delightful time tasting wines in two of the country’s more well-known wine regions, the Barossa and Yarra Valleys, we did not make it to Hunter Valley. Fortunately for us, we’ll need to make a return trip, to visit our daughter, of course, and Hunter Valley is calling my name. Stay tuned for more on Australian wines! While a vintage of 2010 seems a little old for a white wine, this reserve chardonnay holds up well. The bouquet displays notes of honeysuckle and slight perfume. 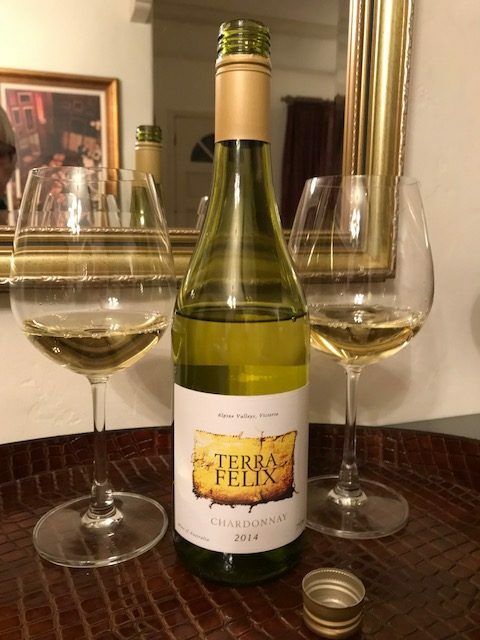 A richer, more fruit forward chardonnay than the Old Winery chardonnay described above, it is similar as it also has some flavors of peach and citrus. I’ll be curious, when we make it to Hunter Valley, to see if those are characteristics distinct to that wine growing region. This wine tastes clean and well made, medium bodied, complex, round, with a smooth finish. As it opens up, the Reserve grows more complex. Medium yellow in color and 13.0% in alcohol. Retails for $21.59 at Total Wine.